Our third game with returning co-champs. How will it shake out? Ryan has it locked up, and can wager up to 2,200. 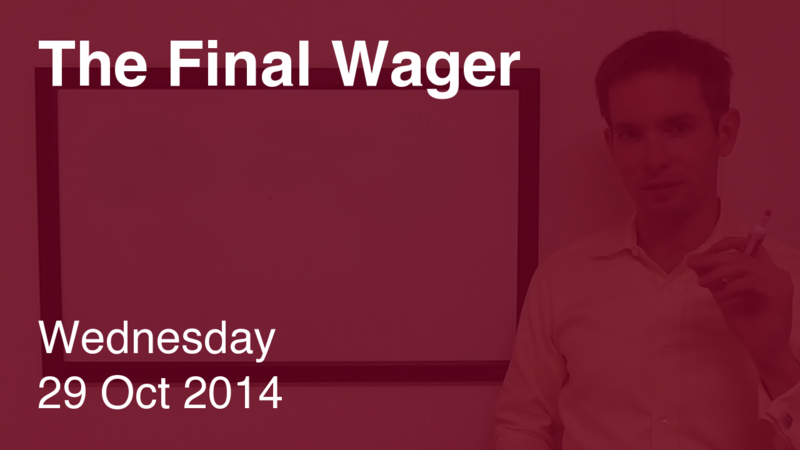 Given Bill is an English professor, you can assume he’ll wager everything. That almost forces Jenica to wager 4,000 to cover him. Nice work, Bill, on getting this one! Now I want to make an appletini with some of your family’s liquor. Congrats to Ryan – will he be party to this assumed tie tomorrow?